Yes!!!! We are finally retired, I am thinking of all of my friends at Bend Lapine School District and feel for you all, as I am sitting on Tillicum Beach watching the surf roar, drinking coffee and relaxing, yes relaxing. 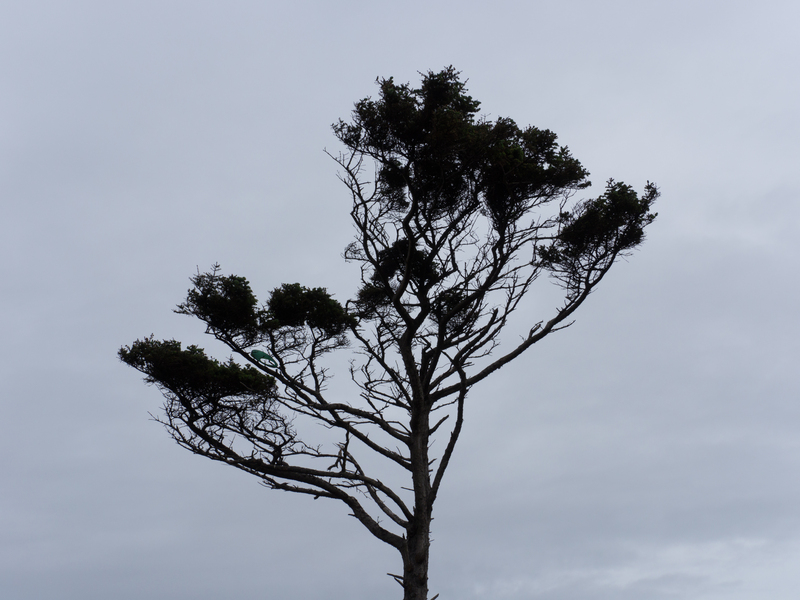 Tillicum Beach Campground is located 4 miles north of Yachats right on the beach. With only 63 sites it is very small, sites are spaced well apart with beautiful foliage to achieve a nice private experience. From our camp, the beach is Litterly 1/10 of a mile and being that close you hear the waves all of the time, it is medicinal. There are no showers or dump stations, the restrooms are extremely clean with real flushable toilets. There are only a few sites with water and electric, with 22 First come First serve sites available. The camp hosts are very friendly and helpful. The fees for dry camping are $26.00 a night, with water and electric cites $33.00, no sewer. NOTE: Beware if you are a large RV, sites designed for tents and smaller rigs as the angle of sites and the foliage make it difficult to back into. We are in site 54 our trailer is 25 ft. long, it took some maneuvering, even though the site length is 47 ft. The closer you choose a site near the beach the less road noise and more sun. Favorites sites if you decided to stay here are site, 19 (ocean View), 48 (longer rigs), 41 (longer rigs, ocean view) 14 (power and water overlooking the ocean. Spectacular. YACHTS BREWERY: We love to try chowders on our coastal journey. Yachts Brewery has to have the best Smoked salmon chowder we have ever had the pleasure of trying. Fresh, organic ingredients and not shy on the salmon. We also tried the in house made cucumber Kombucha and the fermented cabbage condiments. Sure, wish this brewery were located in Bend, Oregon, so excellent. Special note: Yachts Brewery was so delicious that we went back twice, oh our waistline’s, yikes. Next Stop is Beverly Beach, so stay tuned and MAYBE we will see you on the road. Sounds great. It will be awhile before we get out to travel. Miss making short jokes. Keep the posts coming.